Dubai: Fears of contracting the SARS-like coronavirus called MERS-CoV have so far not led to cancellation of business and leisure travel to the UAE, but the tourism sector has experienced a subdued demand in July. Booking agents admitted that there has been a slowdown in demand from visitors, while some hotels reported July occupancy rates dropping by 30 per cent, but this is mainly due to Ramadan. Visitor travel to the UAE traditionally slows down in both the summer months and fasting period. Industry experts are, however, calling for more vigilance and transparency about the extent of the UAE’s risk to the virus, citing that it could seriously impact the tourism industry once it reaches epidemic proportions. Cases of the virus, which have claimed 45 lives worldwide, have been reported in the UAE, Saudi Arabia, Jordan, Qatar, United Kingdom, Italy, France and Tunisia since it started about a year ago. As of Thursday, four new cases of coronavirus were reported in the UAE. Previous studies have shown that epidemics can have economic repercussions. When SARS broke out in Asia in 2002, affected countries suffered not just from a decline in tourism, but in foreign investment as well. 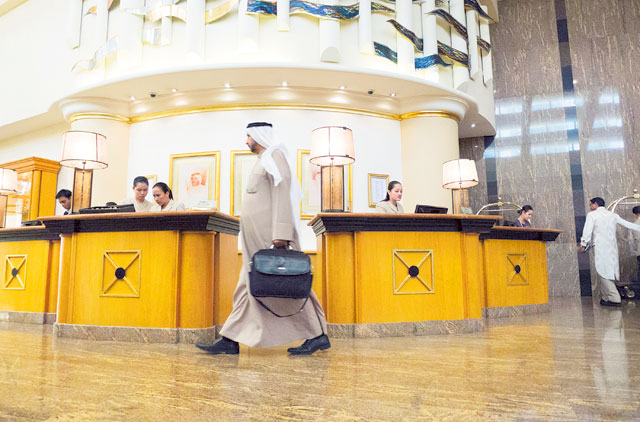 “Business travel is still unaffected by the latest reports with many corporates travelling to Saudi Arabia on short stays for work. Inbound bookings from Europe, Far East and Asia into Dubai and the surrounding region still remain unaffected by these reports and we should have a clearer picture in a week’s time,” Premjit Bangara, general manager of Sharaf Travel Services told Gulf News. “Historically, travel has been out of the Middle East in these hot summer months and this factor has also contributed to the muted responses we are seeing today,” he added. Wael All Behi, general manager of Ramada Downtown Dubai, which considers the GCC region as its major market, said they had a 90 per cent occupancy rate last month, which is on par with last year’s. However, the hotel experienced a decline in occupancy levels for the month of July due to Ramadan. He said they have not witnessed any “mass cancellation” of hotel bookings due to the coronavirus, adding that the “business trend is moving as per seasonality expectation”. “No doubt, if this virus continues to grow, it will impact the travel industry, especially during the Haj season, which is expected to fall in the middle of October this year,” said El Behi. The Arabian Courtyard Hotel & Spa, which mainly caters to the European market, also noted the same trend, with the room demand slowing down in the first few days of Ramadan. “June was not too bad but July, particularly after Ramadan, has been very slow. At least 30 per cent lesser demand is witnessed in the first quarter of Ramadan,” said Habib Khan, general manager at Arabian Courtyard Hotel & Spa. “There has been no direct impact due to the virus scare and we have not recorded any cancellation. However, several travellers, particularly from Saudi Arabia, opted to remain at their base and avoided travelling,” he added. Iftikhar Hamdani, general manager of Ramada Hotel & Suites in Ajman, said he does not see any threat so far, considering that there has been a few coronavirus cases reported in the UAE. In fact, he added, they are expecting a 95 per cent occupancy in the upcoming winter season starting from the middle of September. “Our occupancy this summer is much better compared to June and July last year [although we have had more corporate than leisure bookings this time around],” he added.